Fidget spinners made quite a splash in the gift world, and there are still a few manufacturers coming out with new styles and colors. But how do you know if it’s still a hot category – short of investing in inventory and seeing how it sells? It turns out that Google offers a trend chart that will tell you at a glance that these peaked in the late spring of 2017, and were basically history by Christmas last year. Google Trends will also tell you that for some reason New Mexico was the hottest state for this fad, followed rather randomly by Indiana, Mississippi and West Virginia. Wisconsin, on the other hand, was the biggest state for Beanie Babies – which, unlike most trends, had several spikes in the 14 years for which Google has compiled these figures. Unicorns and sloths are big motifs in the gift industry at the moment, and a look at Google Trends will tell you that while it’s not the first ride on the carousel for unicorns (they hit this same level in 2004), the sloth trend has yet to reach its 2012 peak. The same with llamas, which were big in 2015. One problem with the Google Trends report is of course that with the exception of unicorns, you can’t tell whether the search was for real live sloths and llamas, or for gift items. However if you have a specific product you’re wondering about — toy guns, for example — the figures are a fairly accurate gauge of the public’s interest. This category has had a steady decline since peaking at Christmas in 2007, and is now down to almost nothing. Another feature of Google Trends is the ability to compare the popularity of two terms. Google gives the example of Taylor Swift vs. Kim Kardashian, in case that is of interest to you – good news for Ms. Kardashian, by the way, especially in South Dakota. It’s just as well that the Google Trend figures don’t go back earlier than 2004, because otherwise they might just indicate the increase in the use of Google to find information. After all, Google wasn’t incorporated until 1998, and in 2004 there were still numerous other search engine options. 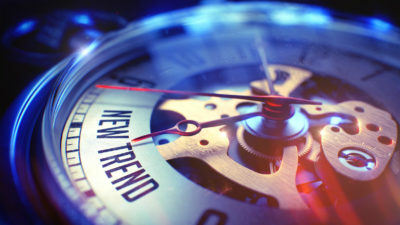 And even though the results often show a trend in public interest, that doesn’t always translate into sales trends. Bananas, for example, are a staple of most grocery stores – but not many people Google them. Google Trends is a free service, however there is an unspecified limit to the number of searches you can make. Logging into a Google account first is a good way to increase the number of searches allowed. If you don’t have a Google account for your store, you should set one up to make sure that the information provided about your business, such as location and hours, is accurate. Because you never can tell when someone will be using Google to find your shop. 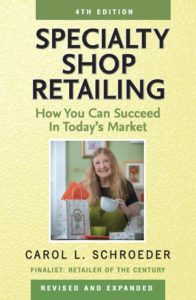 PS I am offering free shipping on autographed copies of the expanded and revised 2018 edition of Specialty Shop Retailing: How to Compete in Today’s Market during November. Just $19.95 each!